Will the city's expansionary cycle continue into 2018? Vibrant rowhomes with large porches are a common sight in West Philadelphia. Philadelphia's housing market has seen incredible growth over the past several years, an accelerating trend some analysts cautioned was too rapid to be sustainable. By May of 2017, Philadelphia's annual house price growth had jumped by 22.2 percent over the previous year and 44 percent over 2015, according to local consulting firm Econsult Solutions. By July, the city's median house price rose 15 percent in a three-month period, reaching $158,000, while the average house price increased by 13.2 percent to $198,150. An improving job market and stronger interest in urban homeownership were are two of the primary drivers of Philadelphia's accelerating housing market, but the upshot of this surge is that there are now far fewer available homes on the market. A new report on the city's housing market in the fourth quarter of 2017 shows that inventories in Philadelphia have declined to an all-time low. 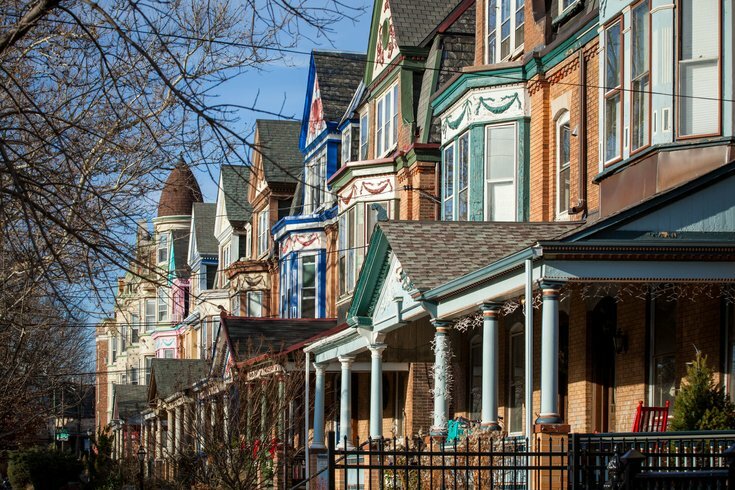 "At the end of 2017, there were 3,329 homes listed for sale in Philadelphia, a substantial decline from the 4,443 homes listed for sale in the previous quarter," said Kevin Gillan, senior research fellow at Drexel's Lindy Institute for Urban Innovation. "Not only is this the first time that this number has fallen below 4,000, but it is the lowest level of housing inventories in the city’s history since the data on this market metric became available way back in 2001." Even as the city's housing inventory declined, numbers from the last quarter of 2017 showed a slight drop of 0.5 percent in Philadelphia's average house price, the first decline in a year. Median house price fell by 6.2 percent from $159,900 back down to $150,000, a trend likely driven by normal seasonal transitions. "The fact that house prices have decelerated while inventories continue to drop towards ever-lower levels would seem to be something of a contradiction," Gillen wrote. "Typically, low supply is both empirically and historically associated with significant upward pressure on house prices." In the bigger picture, Philadelphia's average house price was still up by 12.7 percent from the previous year. That's well above the average 4.5 percent annual appreciation rate of Philadelphia houses since 1980. House prices in the ten largest U.S. cities — excluding Philadelphia — are up just 5.9 percent from a year ago. "One possible explanation may have to do with buyer psychology rather than the basic laws of supply and demand: potential buyers may be balking at paying such high prices while the selection of homes to choose from is highly limited," Gillen continued. "In the near term, expect both prices and sales volume to continue to moderate and/or decline during the remainder of the winter months. " It's too soon to tell whether this pattern marks the beginning of the end of Philadelphia's 6-year expansionary cycle, according to Gillen. Similar signs of price decline were evident at the end of 2016 before Philadelphia had one of its hottest years on record. You can check out some neighborhood-level statistics and observations from the Lindy Institute's Q4 report here.